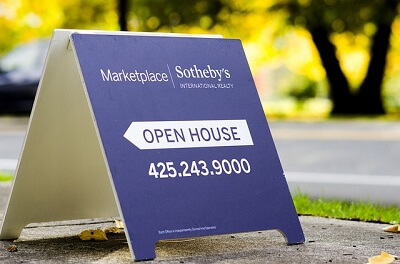 Making sure that your clients are not only able to get the best price for their property but that it sells quickly is quite important for realtors. Many times you might find that your clients are missing key elements in their home such as furniture that really accentuates their space. This is where staging will come into play as it gives you the ability to show off the best features of the property and to show potential buyers all of the furnishing opportunities that they could have. When buyers come to look at the properties that you have up for sale they want to be able to imagine themselves in the house but not to the point where it looks like no one has lived there in years. Finding the balance between clean and lived-in is simple as all you have to do is make sure that the house is sufficiently cleaned and add a few touches such as a bowl of fresh fruits or a vase of fresh flowers. It’s important that you don’t start to add unnecessary clutter to the rooms in the house but you’ll also want to make sure that you style surfaces such as countertops and even the dining room table. This accentuates all of the best features that they house has and it obviously increases the appeal of each room. You don’t want a house to look too formal as it could be difficult for people to envision themselves living there. When you get furniture for home staging it is important that you learn how to arrange it to compliment the size and shape of the room. You’ll basically want to show buyers all of the unique things that they can do to the property to make it their own. Try to rely on symmetrical arrangements and use pairs of items (2 lamps, 2 sofas, etc.) to show off the conversation areas such as the living room. Even though the sellers might love lime green and hot pink it might not accentuate the property. When you’re choosing furniture and other items to use during the staging process, try to make sure that they are sophisticated and neutral colors that work well with the space. Neutrals are generally far more well-received than bold colors. Some of the most important areas of your home that you’ll want to make sure are the closets as it can be a make or break deal for people that are interested in buying the property. Not only do you want to make sure that they are cleaned out, but open them as well. It helps to add to the total space of the house and sellers will be able to look into the closets without feeling like they are intruding on your client’s personal belongings.